As police continue to search a former Jersey children's home at the centre of abuse allegations, one former resident describes her experience there. "I've had the same dream for the last 25-30 years about a man standing by my bed. I always wake up screaming you know, but I can't ever see the man's face. "But that's a dream that I've had and I wake up screaming all the time." Brenda - not her real name - spent several years as a child at the Haut de la Garenne children's home in the 1960s and 1970s. She has "blocked out" much of what happened to her there, but she knows she was sexually abused because at the age of nine she told her mother, who complained to senior staff at the home. According to Brenda, both she and her mother were put under pressure to withdraw the complaint, and the police were never called. The member of staff who'd been abusing her was sacked though, she said. She didn't know whether other children were being sexually abused at the same time. She recalled that they were often given the cough mixture Benylin at night, which made children drowsy. In recent months she has been interviewed by police. That, coupled with the continuous news coverage of the home, means some memories have returned, which she finds deeply upsetting. She said that reading about the cellar which police are currently investigating "brought something back". "I remember we used to go in there but I don't remember what we used to go in there for. As well the shower rooms I remember, and I remember another bedroom in there. Those are the rooms that stand out when I see them." She believes something must have happened to her there, but can't remember what. She does recall though being put in the "detention room" which was on a higher level. She said that children used to stay in there for two weeks, sometimes longer. "It was just a room with a wooden bed in it with a thin mattress and one blanket, no curtains up there or anything so people could look in and see you. It was like being in a zoo." "I know people burned the detention rooms because they had grids and people used to put matches in through the top of the grids and one of the boys nearly died in there, he got smoked out." She recalled that one young boy, aged about seven at the time, was beaten very badly: "His backside was full of the marks and his backside was bleeding, and he couldn't sit at all." She told me that what happened to her in the home has affected the rest of her life. She said that she finds it very hard to love someone. "I find you look after number one. You look after yourself, no one else." She said that for many years she'd resolved not to have children of her own. "I thought I'd never ever bring a child into this world because I didn't want them brought up like we were brought up and I felt like that till I was 34. I had a lot of anger." Now, when she sees small children in the family she can't understand how anyone could hurt them in any way. But when asked if she would like to see those who hurt her, and others, brought to account she said bleakly: "Can I answer honestly? I don't think I have any emotions about anything." 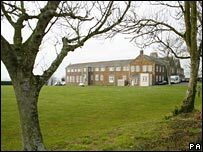 The interview with the former resident of the Haut de la Garenne children's home, revoiced by an actress, was broadcast on Radio 4's Today programme on Friday 29 Feb 2008.